Nexans Euromold Separable Connectors (Elbow, Bolted Tee & Straight) are specified to terminate MV-HV power cables onto Interface A, B, C, E and F type bushings. Nexans Euromold dead-break separable cable connectors suit all international high voltage bushing interfaces for the termination of HV cable into switchgear, transformers and motors. Nexans Euromold cable connectors terminate high voltage power cables (typically 11kV, 15kV, 24kV, 33kV, 36kV up to 52kV) into SF6 GIS gas insulated switchgear including Schneider, ABB, Areva and Siemens. Nexans Euromold cable connectors meet the requirements of ANSI/IEEE 386 & 404 and CENELEC EN50180 & EN50181 for high voltage "dead-break" cable connection, i..e connectors installed and terminated onto un-energised high voltage power cable. US specification "load-break" cable connectors for high voltage energised cable termination are also available. Nexans Euromold cable connectors (elbow, bolted tee and straight types) are specified to terminate polymeric insulated (XLPE or EPR) high voltage power cables with copper tape or copper wire screens up to 52kV. 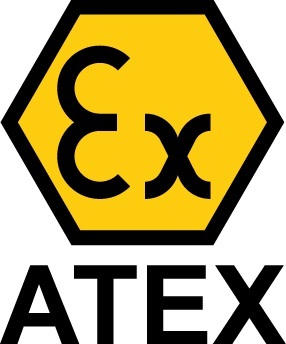 Nexans Euromold cable connectors are available to suit and terminate lead covered HV cables for hydro-carbon industries (oil, gas, petrochemicals) with ATEX certification for hazardous area Zones 1 and Zones 2. Connector Type : 7.9mm Plug-In Pin Contact. Nexans Euromold 158LR connectors (200 Series) are suitable for use up to 24kV. 158LR (Interface A) Euromold “plug-in” screened separable elbow connectors are rated up to 250amps. Connector Type : 14mm Plug-In Pin Contact. Nexans Euromold connectors (400 Series) are suitable for use up to 33kV/36kV. 400LR (Interface B) Euromold “plug-in” screened separable elbow connectors are rated up to 400amps. Connector Type : M16 Bolted Copper Insert. 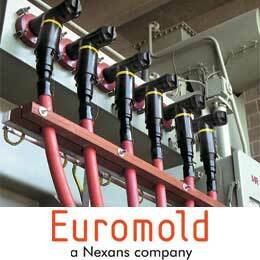 Nexans Euromold Separable connectors (400 Series) are suitable for use up to 33kV/36kV. Euromold 400TB (Interface C) “bolted” screened separable tee connectors are rated up to 630amps. Also available within the Euromold 400 Series range to accommodate up to 630sqmm cables, the 440TB screened separable connector is rated up to 1250amps when used with the correct equipment bushing. Nexans Euromold 400 Series Interface C connectors are also available in a "Compact" form designed to be used within confined cable termination chambers. Euromold 430TB range suits most applications up to 630amps while the 484TB range of connectors are designed for larger conductors and for use up to 1250amps.